If you want to treat yourself or someone close to you to who’s a music fan to something interesting for Christmas, then we’ve got a few ideas for you. There are books, an album and a very interesting merchandising idea. Sound of the Sirens merchandising – I love Sound of the Sirens. Abbe Martin and Hannah Wood are incredibly talented writers and performers, but there’s a lot more to it than that. They attract like-minded people into their orbit and create friendships between fans from all over the country. They also have some interesting ideas about merchandising. Selling mugs is fairly standard, but why not take it a stage further and sell tea towels with a picture of the band. And what a great strapline: “Wipe your mugs with our mugs”. “Don’t You Leave Me Here: My Life” (book) – Wilko Johnson – Wilko has put together a memoir/autobiography that covers more than forty years in the music business, success, failure, cancer diagnosis and recovery, and coming to terms with his status as a legend. It’s a great fly-on-the-wall insight into the workings of bands and the music business and it’s well worth reading. I had a bit of a shock when I realised that the Solid Senders bass player who I had photographed in 1977 in Dundee was the same person I photographed playing bass in Phil Burdett’s band in Southend last year. Small world. 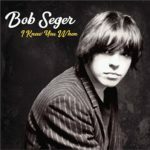 “I Knew You When” (album) – Bob Seger – Another one of my teenage heroes who’s still around and still relevant. 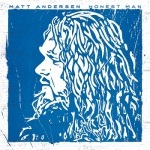 This album came out of the blue; his 2014 album “Ride Out” had the feel of an album that was closing out a career and it might have been his swansong but for a tragic event. His old friend from Detroit, Glenn Frey, died earlier this year and this album is largely inspired by their friendship. Sometimes it’s right in your face (the album cover, for example) and sometimes it’s a bit more subtle – the title track is classic mid-tempo Seger with no names mentioned, but it’s obviously about Glenn Frey. It’s sad that it took such a tragic event to kickstart the album, but wonderful to hear a hero still so fired up about social issues. “Going on the Turn” (book) – Danny Baker – It’s the third volume of Danny Baker’s memoirs, covering events to the present day, including his battle with head and neck cancer and high profile local radio sacking. He’s a natural writer who always manages to find a unique twist on even the most difficult subjects. It’s a life-affirming book and it’s all based in the area I’m working in at the moment, which gives it a nice personal touch. It’s a great read. “Some Fantastic Place” (book) – Chris Difford – There’s a link to the previous book; Danny Baker went to the same school as Chris and their careers have touched at many points. I’ve always been a massive fan of Squeeze and this is a fascinating insight into the fraught relationship between Chris and Glenn Tilbrook. He doesn’t try to pretend that he’s perfect (far from it) and the book’s all the better for that. The only criticism (if you’re a geek like me) is that it would have benefited from some more rigorous fact-checking. It’s still a fascinating read. Let’s just say that my preconceptions have been well and truly shaken up. 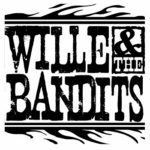 Two songs in to the latest offering from Wille & the Bandits, and I was on the verge of filing it under ‘generic Southern rock/slide guitar’, but we don’t give up that easily at Riot Towers. Actually, there’s nothing wrong with the slide and Hammond (courtesy of Don Airey) of “Miles Away” or the Dire Straits meets Pink Floyd of “Hot Rocks”, with its congadelic breakdown, but they have the feel of a starter before the main course, “Scared of the Sun”, which brings all of the elements at the band’s disposal into play. The dynamics are perfect, from the quiet intro with gentle keys and to the full-on anthemic chorus. 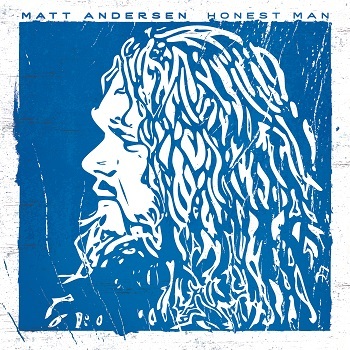 We hear the full range of Matt Brooks’ six-string bass, particularly at the upper end of the register acting as a second guitar part, Andy Naumann’s drums power the verse and chorus along and Don Airey adds some Vangelis-like like sounds to the mix. Meanwhile Wille Edwards is doing his guitar thing (ok, things with electric, acoustic, lap steel, Weissenborn and Dobro) and delivering a vocal that’s as close to very early Bob Seger as anything I’ve ever heard. And here’s the real surprise; it’s a song about global warming. I’m not an expert on Southern ‘rawk’, but I’m guessing that environmental concerns aren’t high on the list of lyrical topics. It’s probably quite a way behind highways, Harleys, guns and Saturday night. The instrumental inspiration for the album is the American south in the seventies, so the song “1970” should come as no surprise; driven along by drums and a pumping bass, it mourns the passing of that era while extolling its virtues (‘Good times, love and peace’) in a seventies rock style. 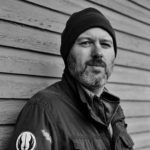 If the environmental concern wasn’t enough of a shock, there’s a song written from the point of view of a refugee from a war-ravaged country. “Crossfire Memories” begins with quiet acoustic guitar and builds through the addition of a Matt Brooks string arrangement and slide fills to a big slide solo to close out the song; it’s powerful stuff. 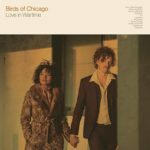 The playing is every bit as good as you would expect from the people involved in this album, and it’s worth listening to for that alone, while the presence of some lyrical content that steps out of the usual limits of the genre gives it an undeniable edge. I have a sneaky feeling these guys will sound even better live. “Steal” is released on Friday January 20th on Jigsaw (SAW 6). 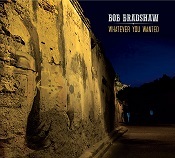 Bob Bradshaw’s sixth album, “Whatever you Wanted” is a collection of songs inspired by the musical styles he’s been exploring in his adopted country, America, taking a leisurely stroll through various styles and adopting arrangements and textures from new country, old country, roots, and tex-mex along the way. The instrumentation on the album covers a wide range, from the reined-in acoustic, electric and strings of the opening song “The Start of Nothin’” (not sure that I would want to open an album with that particular message) to the old soul vibe of “Before” with horns, Hammond and strings creating a lush background for the laconic vocal. 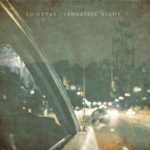 The arrangements all have a very light touch, and “Before” still seems to have lots of space even with trumpet, flugelhorn, trombone and strings adding spice to the percussion, bass, guitars and keys. 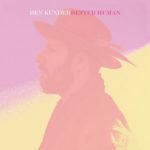 The songs are all well-crafted and very listenable, but Bob Bradshaw’s voice is the real selling point for the album; it’s warm and soulful and the close-miking creates a very intimate feel that shifts seamlessly from the silky, Chris Izaak-like “Crazy Heart” to the Bob Seger feel of the album’s perfect closing track, “The Long Ride Home”. The lyrical themes shift from the opening song’s nostalgia, through several breakup songs (including the title track and the album’s most raucous song, the swamp rock of “Losing You”), introspection (“Dream” and “High”) and the allegorical “Sparrow”, which has more than a hint of “Norwegian Wood”. It’s certainly not a chore to listen to “Whatever you Wanted”, but, for me, everything fits into place on the album’s final song. “The Long Ride Home” is a superb little vignette, evoking perfectly the band on the road leaving the scene of the crime. The backdrop is minimal with only piano, guitar and lap steel supporting Bob Bradshaw’s laconic, world-weary, end-of-a-long-day vocal and the Bob Seger comparison’s difficult to resist, the theme bring the same as Seger’s road classic “Turn the Page”. As a whole, the album suffers a little from the Bob Bradshaw’s eclecticism; every time you think you’ve got a grip on it, a new style comes along and it slips out of your grasp. There’s nothing you wouldn’t want to listen to again, but it never quite seems to hang together and it feels like you want the band and Bob to really cut loose and rock out a little. After the first eleven tracks, it’s a very solid three-star album, but the final song ensures that the album creates a haunting impression that fixes it in the memory. “Whatever you Wanted” is out on Friday November 13th on Fluke Records.